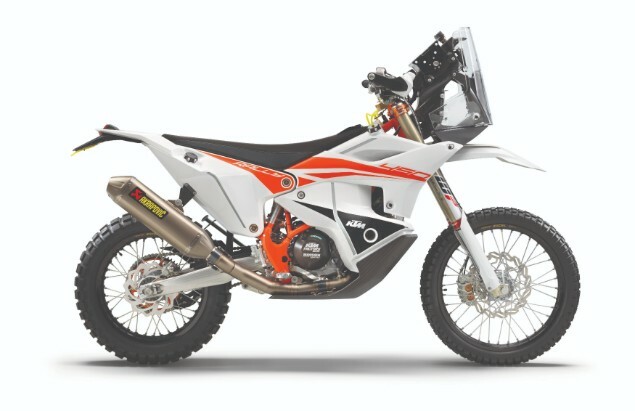 You’re going to have to be quick to get hold of this new KTM 450 Dakar Rally Replica as the Austrian company is only building 75 exact recreations of a bike that was specifically-designed to win the arduous Dakar Rally race. Before you head down to your local KTM dealer, wallet in hand, however, it might be worth bearing in mind KTM is going to be asking for £28,000 for each bike. Yes, £28,000! Make no mistake, this is an ultra-focussed competition bike that has been carefully crafted over more than 15 years of top-level KTM factory involvement in what is widely regarded as the world’s toughest race. The annual Dakar Rally now runs in South America after concerns about terrorist threats ended the historic running of the race across North Africa. The Dakar Rally covers thousands of miles across some of the most inhospitable terrain in the world and riders spend two weeks racing and navigating across deserts and mountains. 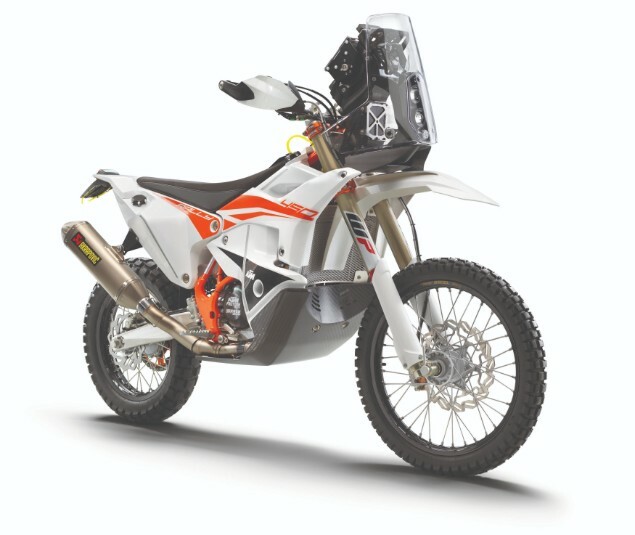 As a result of the hard racing, the bikes used have become incredibly specialised and this 2019 KTM 450 Dakar Rally Replica is what will be offered for those racing in the next Dakar Rally. You can buy a full racing support and spares package to race at the Dakar on top of the £28,000 asking price too. The bike has been heavily modified from the 2018 models and includes a new chassis around a revised 450cc, single-cylinder, fuel-injected, four-stroke engine. The cylinderhead and gearbox have been improved for greater endurance and there’s also a completely new swingarm with modified linkage and a WP shock built to cope with high speed riding across rough terrain. The large front fairing has been designed to assist rider comfort but it also houses all of the rider’s navigational systems which includes a rolling paper roadbook map. This ‘tower’ is made from lightweight but strong carbon-fibre to try and keep weight down. Stefan Huber, KTM Factory Rally Team Leader, said: “The all-new KTM 450 Rally Replica is based on our already-successful factory machine that we began racing at the end of last year, which was specifically developed to win the Dakar. “With this latest generation, our goal and focus was to develop a bike around the style of our current factory riders, who required something with more comfort, more agility and improved stability. “We looked for an improvement in handling, a lower weight, as well as a bike that also meets the demands of the conditions and intensity that we now find at Dakar. 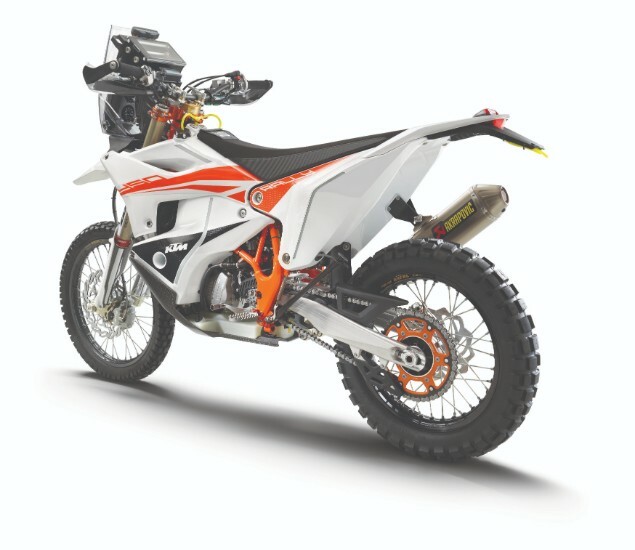 “The KTM 450 Rally Replica machine is almost identical to those raced by our athletes, and is available for customers to get the opportunity to own and ride a really premium, purpose-developed rally machine with high-quality components and maximum innovation.